If you find it hard to wait for that strong, intense effect that comes from the Jack Herer, then the Auto Black JH from Original Sensible Seeds is for you. By combining the sensational sativa dominant Jack Herer with the indica rich Black Domina, Original Sensible have created 100% feminised autoflowering cannabis seeds that can produce the goods in minimal time. 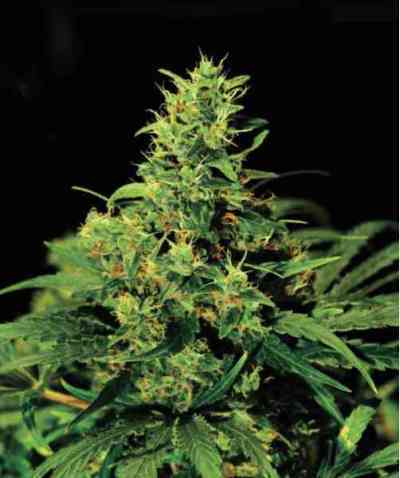 In fact you could be harvesting sweet, fruity, potent cannabis in just 60 to 70 days, making this one of the fastest autoflowering cannabis seeds on the market. 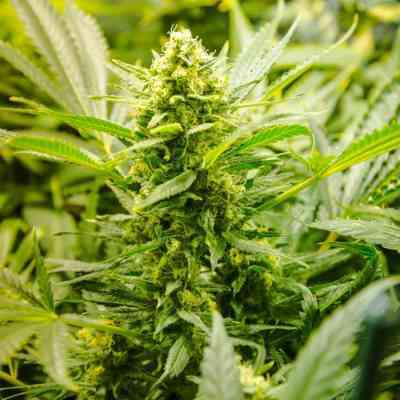 The incredible couch locking, cerebral high that you get from the 15 to 18% THC and high CBD levels in this plant make Auto Black JH ideal for medicinal marijuana and recreational purposes alike. It will relax you, body and mind, and leave you feeling chilled out, deliciously heavy and completely relaxed but still enjoying that Jack Herer buzz that so many of us love. Furthermore, the Auto Black JH can leave you feeling so at peace it can raise you from even the deepest of shadows, which is why Original Sensible Seeds team has now nicknamed it the Prince of Darkness.